* If you do not have or do not wish to purchase a Kindle reader you can download free Kindle reader software for your PC, Mac, or Smart Phone from the following link below. This is not just a book for dedicated Christians, it is a thorough and in depth study of the teachings of Jesus for both serious Christians and non-Christians alike. This is not a book for the casually curious, but rather for the serious student who is determined to have the deepest and most complete understanding of the teachings of Jesus possible. 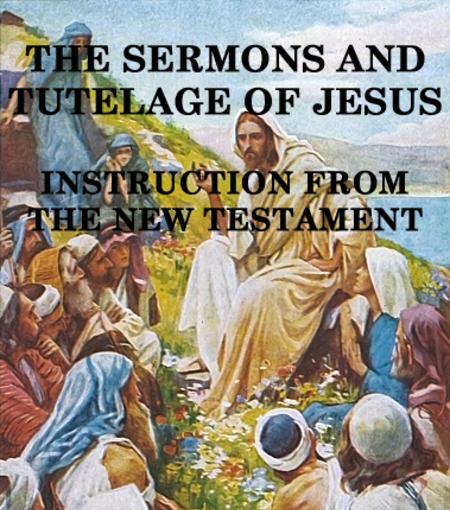 This detailed study of the teachings of Jesus was over 3 years in research and preparation. This study is more than just an important detailed study of the teachings of Jesus for Christians, the insight provided into the true teachings of Jesus will prove enlightening and encouraging for non-Christian as well. Jesus said in Luke 6:46, as well as other places in the gospels, “Why do you call me Lord but do not do what I say?” The apostle John said in 1 John 4:1 "do not believe every spirit, but test the spirits to see whether they are from God, because many false prophets have gone out into the world". Paul, whose letters comprise 13 of the 27 book in the New Testament, said in 1 Thessalonians 5:21 "Examine everything carefully and hold fast to that which is good". These are reasons enough for everyone, Christian or not, to study closely what Jesus really taught and to understand His full and complete meaning. This study is not based on any particular theology, it is based on the definitions of the underlying Greek words that were chosen by the original authors of all four Gospels. This study reveals that significant words in the revered King James Version of the Bible are not the best and most accurate translations of the underlying Greek word, and offers more accurate alternatives. With over 5,600 scripture cross-references and Greek word definitions, this is the most comprehensive study of its kind that I know of and is well cross-referenced to other supporting scripture and contains numerous explanations of older or archaic words found in scripture. I have endeavored to make this the most comprehensive possible study of the teaching of Jesus based entirely on the words of Jesus, without interjecting other opinions or interpretations. This is an extremely comprehensive study of the critical words in all four Gospels and also contains explanatory commentary on each thought expressed in the Gospels. It will allow you to understand every nuance in the teachings of Jesus as never before. Greek words are explained in English, no knowledge of Greek is necessary. Also contained in this study is a copy of the difficult to find first century Church handbook "The Didache" (The Two Ways) and the also difficult to find second century "Shepherd of Hermas" which was considered to be second to the Gospels in importance by the early Church. 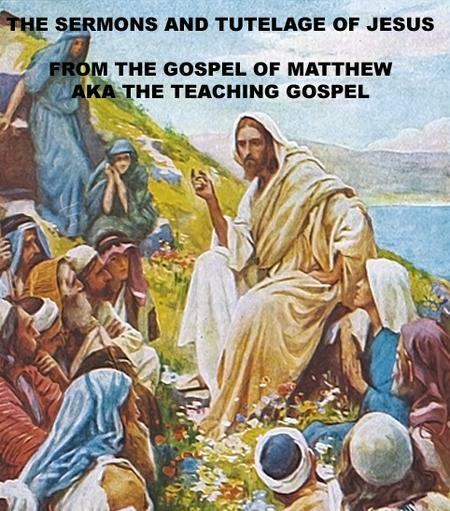 A summation of every instruction Jesus gave us in the Gospel of Matthew in paperback. This is the portion of the above Kindle edition book presenting only the Gospel of Matthew in a convenient paperback. The entire Kindle edition book was just too large to be practical to print. With over 1,600 scripture cross-references and Greek word definitions, this study is extremely comprehensive and well cross-referenced to other supporting scripture and contains numerous explanations of older or archaic words found in scripture. I have endeavored to make this the most comprehensive possible study of the teaching of Jesus based entirely on the words of Jesus, without interjecting other opinions or interpretations. This is an extremely comprehensive study of the critical words in the Gospel of Matthew and also contains explanatory commentary on each thought expressed in the Gospel. It will allow you to understand every nuance in the teachings of Jesus as never before. Greek words are well explained in English, no knowledge of Greek is necessary. Should the modern day Christian Church be observing Easter, Passover, or the day before Passover as the early Church did? 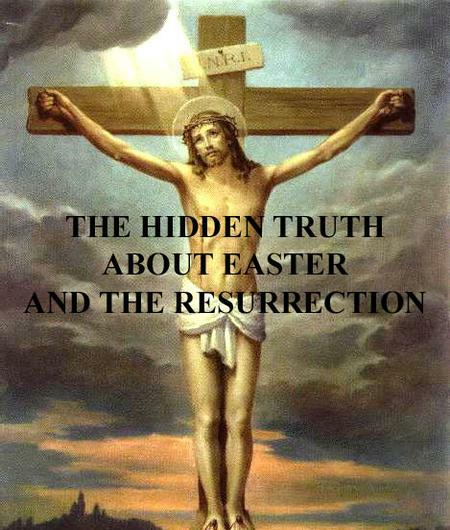 What exactly is the real true origin of the celebration we now call Easter, and is it Christian or pagan? What exactly is the origin and evolution of the word we now call Easter? How did this ancient fertility festival come to be incorporated into Christianity? This essay examines these questions in penetrating detail. These questions confront all modern day Christians who are truly eager to do the right thing and to follow the teachings of Jesus. This essay is an objective examination of these questions, based on scripture and on history and is well referenced. when I say that this booklet is a "MUST READ".